The danger of wanting to UFOs to be real is on display everywhere, it seems. Wherever you look, people are believing all sorts of ridiculous things about UFOs, and that's not good news for those of us who take this phenomenon seriously. I just tweeted over the weekend that even though 36 days had passed since the NY Times story about the alleged Secret Pentagon UFO study from 2007 to 2012, and the dramatic aerial encounter between Navy pilots and aerial tic tacs, we still hadn't seen any proof of anything from Luiz Elizondo and his pals at the "To The Stars Academy." People immediately responded to my post by informing me that the U.S. Air Force has confirmed that UFOs are "real," and that it's perfectly ok for the "TTS Academy" to release its alleged UFO "proof" in increments, and that Dr. J. Allen Hynek would be super excited that we're close to solving the UFO mystery that he worked so hard to solve during his lifetime. Know what else looks like a tic-tac from a distance? The Pentagon has confirmed that the program existed, but has not confirmed that UFOs are real. There's a big difference. Real scientists don't release the results of their work "in increments." If they did they'd be booted out of the scientific community on their keysters. Hynek would be royally PO'd at the TTS Academy turning UFO research into a revenue-generating public relations and ecommerce carnival. The Pentagon is publicly admitting to spending $22 million in "black money" from 2007-2012 on a UFO research program called Advanced Aviation Threat Identification Program (AATIP). But, again, that is not the same as confirming that UFOs are alien spacecraft. Longtime intelligence officer Elizondo left his position what was his position, exactly? can we get an actual title? with the Department of Defense back in October, to protest the secrecy around the project. He then began working with To The Stars Academy, a project founded by Tom DeLonge and includes other former CIA, NSA, and Skunkworks figures. One of the videos, the 2004 Nimitz video, is supported by the eyewitness testimonies of two Navy airmen who have come forward and are giving interviews with the press. I've only seen interviews with David Fravor; who is pilot #2? Anyway, the videos are suspect; the weather was reported as "calm" at the time, yet the videos show violently turbulent oceanic and/or cloud movement. Further, one pilot says that there's a whole fleet of tic-tacs visible, yet the videos only show one. There are also claims that the tic-tac UFO zipped away at a phenomenal speed, yet the videos show no such movement. 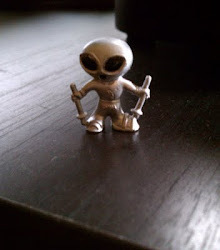 And now pilot Fravor is claiming that the tic-tac UFO could be an indication that War of the Worlds is about to start! Yikes!! Much of the research in the program was carried out via Bigelow Aerospace, a contractor that builds inflatable ISS modules. Founder Robert Bigelow has claimed to have built a special warehouse in Las Vegas where he stores materials recovered from an alien craft -- materials he claims are comprised of a mysterious alloy Where does Bigelow say he already has these materials in his possession? In the NY Times article Bigelow is quoted as saying he intends to store strange alloys "recovered from unidentified aerial phenomenon," but what does that mean? Bigelow could be referring to a scrap of tinfoil found on the ground in the vicinity of a UFO sighting. There's nothing in the reporting to suggest that Bigelow, Elizondo or anyone has recovered an actual piece of a spaceship These claims have been repeated by Luis Elizondo, Tom Delonge, and the journalists in the original New York Times report. "Mr. Elizondo said he and his government colleagues had determined that the phenomena they had studied did not seem to originate from any country." "Seem" is the operative word here. No mention of what specifically they were supposedly studying or what methodology was supposedly used. Under Mr. Bigelow’s direction, the company modified buildings in Las Vegas for the storage of metal alloys and other materials that Mr. Elizondo and program contractors said had been recovered from unidentified aerial phenomena. Again, this is so carefully worded as to be virtually meaningless. Unless you can describe and reveal the "alloys and other materials" and provide proof of their origin, you've got bupkis. The “unidentified aerial phenomena” claimed to have been seen by pilots and other military personnel appeared vastly more advanced than those in American or foreign arsenals. In some cases they maneuvered so unusually and so fast that they seemed to defy the laws of physics, according to multiple sources directly involved in or briefed on the effort and a review of unclassified Defense Department and congressional documents. No big surprises here, as this has been central to the UFO phenomenon since it's birth. But who are these "multiple sources" and what are these unclassified documents that are being used as proof? Transparency, please. Don't get me wrong! I want to figure out UFOs, too. I just believe it needs to be done correctly, carefully, openly and scientifically. Is that too much to ask? 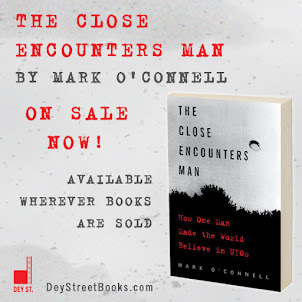 I will take a crack at this but first I would like to thank Mark for a wonderful and informative book "The Close Encounters Man". Just finished reading it and really did not want it to end. Thoroughly recommend this book to anyone interested in the subject. It is historical in nature but gives a good perspective of where we are now in dealing with the phenomena. Congratulations Mark on a well written and entertaining book that brings to life Allen J. Hynek and his life's work. Now back to the Mark's current post. Of course UFO's are real as they are observed but 'unknown' objects or phenomena. 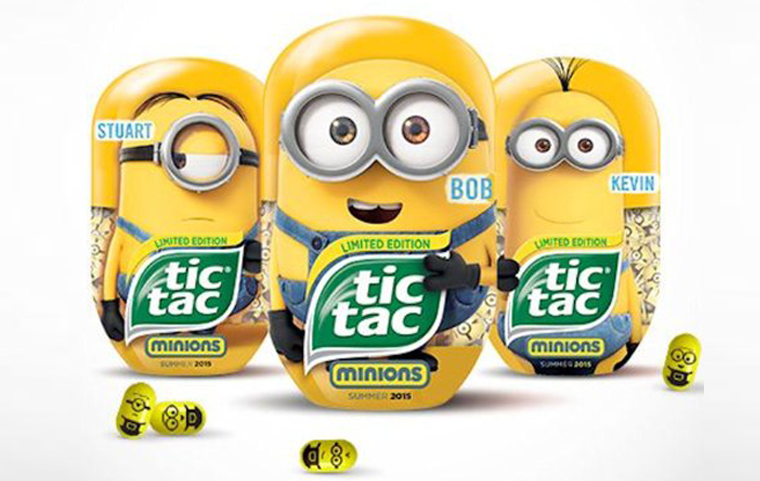 Now the tic-tac videos definitely have all the issues that Mark has brought up. The major one is the missing CoC (Chain of Custody) documents that Leslie Kean say's "Yes we have the document". I am not sure who she means by "we" and why the support document(s) have not been released along with the videos (documents classified?). Several persons who have interviewed her since the article came out had no success on getting more info about this. I and others have filed FOIA requests for the documents but will probably be denied. Grant Cameron has a lot of theories on all of this on his youtube ch and some of them make sense and others seem contradictory. According to him these releases are not disclosure but a pre view of disclosure farther down the road. He mentions this has been tried before with "drips and drabs" coming out. The main thing I get from him is that the phenomena is multi dimensional in that it involves the conscious as well as physical aspects. According to Mark's book Mr. Hynek also was coming to a similar conclusion. It is true that these two videos, the program and characters involved bring about a whole host of questions and suspicions. I am not a 'UFO believer' which is skeptic code for aliens are among us. However looking at past historical evidence and what is happening now will leave that possibility as an option. Probably one of the more understandable ones given the strangeness of this phenomena and how it is playing out. But it could be much stranger than that! Poking around on Reddit is always a mistake. That place is unrestrained crazytown. Sane people don't do Reddit. I went there once, was happy to get out alive, and will never go back. Besides, my paranoid mind suspects the CIA operates Reddit. nsurround, thank you for the wonderful review! I feel that stepping back and looking at the big picture is in order. The CIA and the military have been denying the existence of UFOs for decades. All of a sudden a small group of these same people decide to provide the public images of UFOs. My BS meter is starting to peg. Weren’t these people sworn to secrecy? The CIA have agents at all the main media outlets. They decide what stories see the light of day. I wonder if this whole scheme is some sort of money maker for a small group of people. Having Tom DeLonge as the frontman sets off alarm bells for me. What have these people really told us thus far. Not much of anything that I can see. Its suddenly gone quiet these past few weeks. If you have something, lay it on the table for the public to know and decide what is truly going on. Yep, I think your observations are spot on, Dave. There's no way these guys could be speaking so openly about gov't secrets! Amen Mark. Someone gave these individuals permission to speak. Their agenda is what I question at the moment. Is it to confuse the public, is it a money making deal only? There is more to this story and we aren't being told. That is the only thing I am certain about. Tom DeLonge finally acknowledges that the tic-tac video image in Chris Mellon’s presentation is a helium filled Mylar party balloon in the shape of the numeral 1. On October 11, 2017, during a broadcast announcing the formation of To The Stars Academy of Arts & Science, our creative team utilized a slide that was intended to be illustrative of the Nimitz case discussed in the presentation. We recognize that the use of this slide without proper clarification created confusion and, most importantly, did not meet our standard of accuracy. TTS Academy is committed to being a trusted leader in the exploration of exotic science and technologies, and we regret this oversight. It is important to note that the evidence presented by the speaker regarding the Nimitz case is derived from the testimony of multiple US military personnel and multiple sensors aboard multiple ships and aircraft operating in conditions of excellent visibility. Furthermore, the US Department of Defense has not denied the account provided by TTS Academy or the retired US military personnel involved in the incidents of November 14, 2004. Here is a news story about the confusion over the images. You get one chance to make a positive impression on people. Don't BS them with images of balloons being passed off as UFOs.